Rev. David Chamberlin is Rector of Milton. David is also Priest-in-Charge of our associated parishes of Waterbeach and Landbeach. David's day off is Saturday, and he has a Study Day on Mondays. Simon Bradford is Associate Minister of Milton. 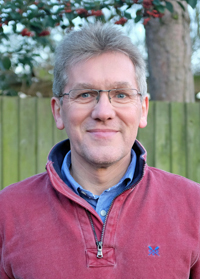 Simon is part-time Associate Minister at All Saints, and is self-supporting. Andy & Joanne Berry are the Children's work leaders at All Saints. Michelle Peters is the Church Administrator, and can be contacted via the Church Office. Sue Nunn is a Lay Pastor at All Saints. John Uttin is a Lay Pastor at All Saints. Nat Johnson and Linda Henderson are the Churchwardens at All Saints. Linda Henderson is the Safeguarding Officer at All Saints.